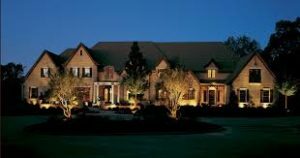 Home / News / Services / Lighting Control / How Much is a Remote Outdoor Lighting System in RVA? We get asked a lot of questions surrounding the cost of remote outdoor lighting. When considering outdoor lighting for your property, many people want the option to control their lighting remotely. So what’s the cost for this smart home feature? Unfortunately, the answer is not so cut and dry. There are many variables that can affect the pricing, so let’s break it down for you. 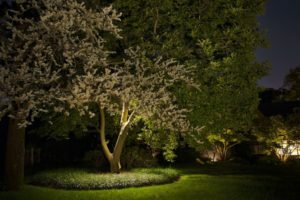 The first thing you will need when installing an outdoor lighting system is the main controller; which allows you to control the number of light zones (scenes) that you want to place in your yard. The average cost for the main controller usually runs about $560. Each switcher you add will run about $125 and will allow you to control the times that you want the lights to come on and go off each night. If you want a different time for each zone, such as landscape lights to come on at a different time than the house lights, pathway lights, and driveway lights, etc., you will need a different switcher for each zone. There are some variables that can contribute to the pricing of your Outdoor Lighting job. 1) How many lights do you want? Do you want up-lighting on your house and trees? Landscape Lighting? Pathway Lights? Each type of light is different, depending on it’s use. While you may only need two or three spotlights, the number of pathway lights is usually greater. The number of lights you want, along with how many feet of cable that is needed to reach the location of these lights, will impact the overall price for your outdoor lighting setup. 2) Where do you want these lights located? For example, how many obstacles are in your yard? Do we have to install the cable under a driveway? Are some lights towards the front of your property near the mailbox and some near your front porch? All of these circumstances will effect the pricing on your outdoor light job since they involve different types of lights and differing amounts of cable to reach those outdoor lights. 3) How many different scenes do you want to control? Do you want all of your lighting scenes to come on at dusk and off at dawn? Or, do you want certain times for certain scenes? If you just want one blanket scene then you will just need one switcher to control it. However, if you want to control different lighting scenes it will add about $125 for each outdoor lighting scene you want. 4) Are you going to purchase and install your own, DIY outdoor lighting? Or are you interested in going with something more high end, with a lifetime warranty, like Coastal Source products? 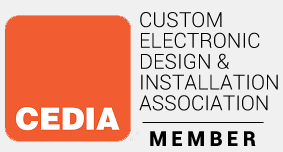 Moseley Electronics is a Coastal Source Authorized Dealer and our technicians have been trained to properly install these high quality lighting systems. Your outdoor lights can be controlled via an App on your smart phone; however, if you would prefer to have a keypad to control outdoor lights, these are currently available at an additional cost. Luton’s RadioRA2 also now has voice integration and your voice can control your lighting by talking to Amazon’s Alexa and Echo Dot. What’s the Cost of Remote Outdoor Lighting? There are many things to consider when considering a remote controlled outdoor light system. You should expect to pay anywhere between $1,500 to upwards of $20,000 depending on your outdoor lighting needs and wishes. If you have questions concerning your outdoor lighting needs, please contact our Technicians at (804)379-1348 to evaluate your needs or contact us using the link below.